Terri & Jason came over from the UK for a elopement wedding in the snow. We picked them up from town and headed out to the airport to meet Glenny’s Logan the wedding celebrant for the day and our pilot Dan. It was a stunning winters day with light winds and blue skies. 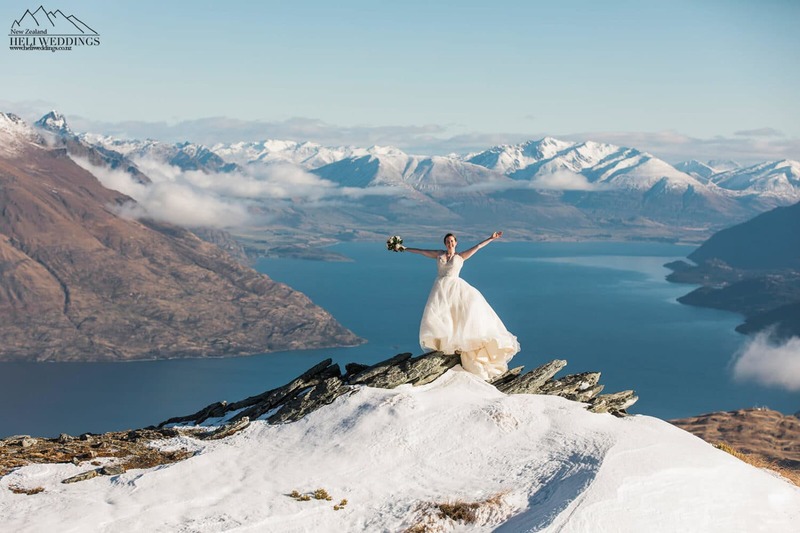 We took off and flew up to the Remarkables for the wedding ceremony. 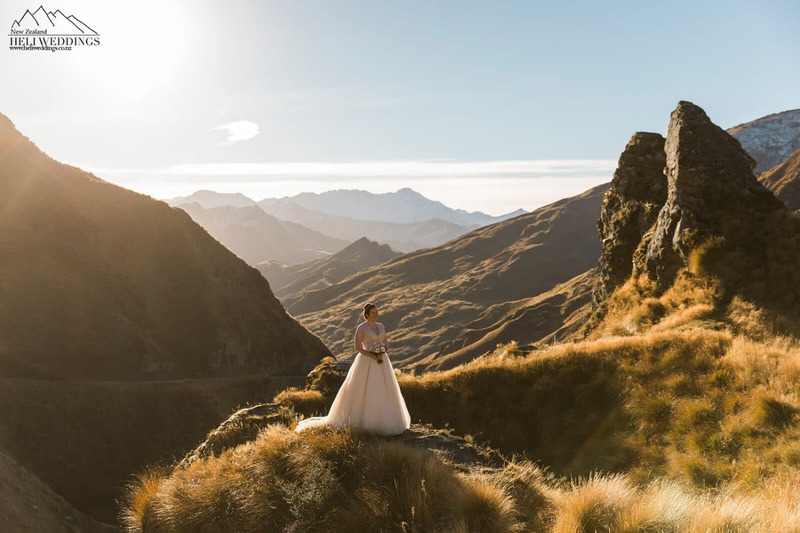 A beautiful wedding ceremony facing the Southern Alps. After the ceremony they celebrated with bubbles and we got into the photos in the snow. We walked over the ridge and got some great shots with the wind playing with Terri’s dress. There are some great spots to shoot up there and not to much of a walk in the snow! A nice flight over Queenstown on our way back to the airport. Back on the ground we headed for Lake Hayes and Arrowtown for some more photos before finishing off down by the river in the fading winter light. Caitlin and Aaron came over to New Zealand from Melbourne, Australia with some friend to have a Spring wedding here in Queenstown. We flew up towards Cecil Peak and landed on The Ledge for the wedding ceremony. We had the ceremony on the lower ledge over looking the lake and the mountains.